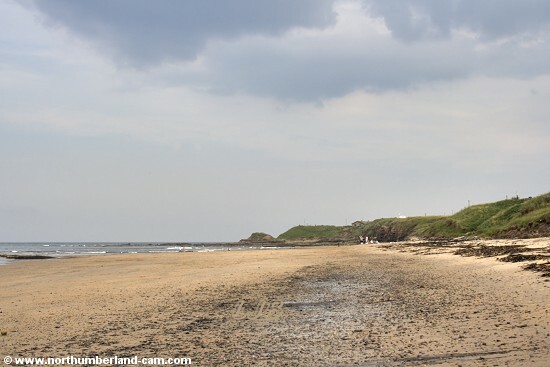 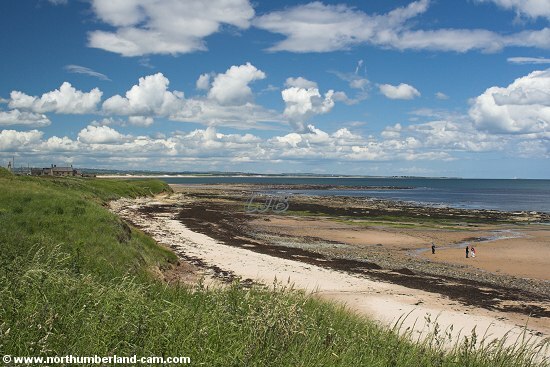 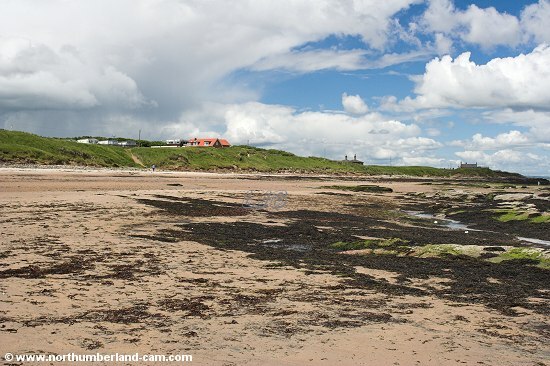 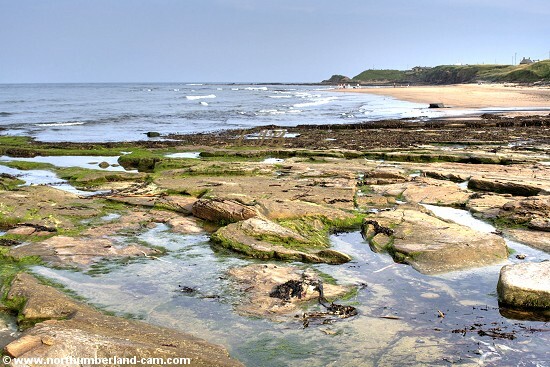 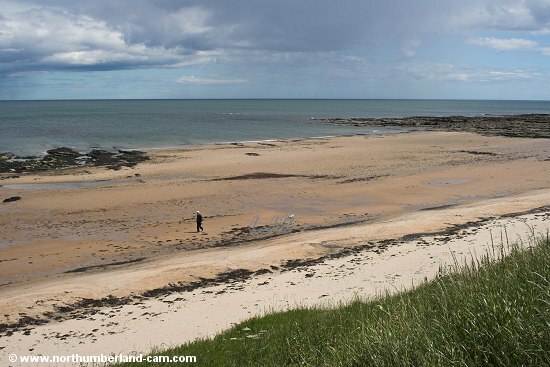 Cresswell is at the south end of Druridge Bay, one of Northumberland's finest beaches. 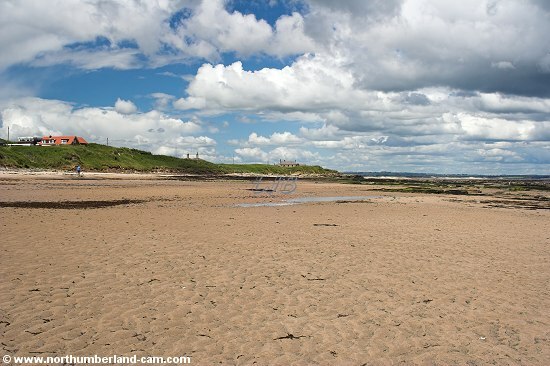 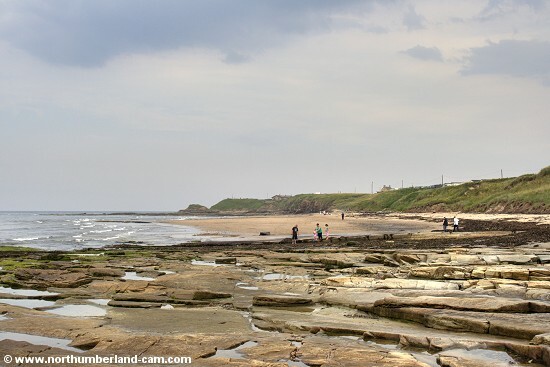 There is also a small beach at Cresswell on the south side of the village. 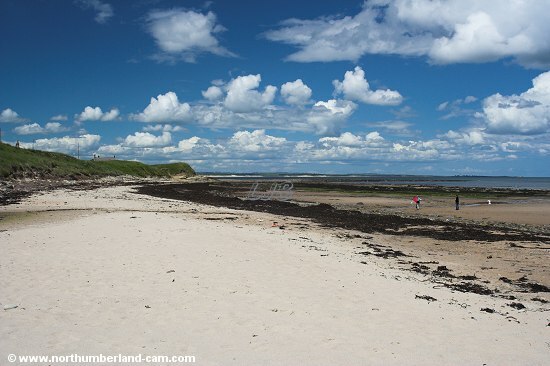 It is overlooked by a large caravan park and is used by families in the summer and by dog walkers all year round. 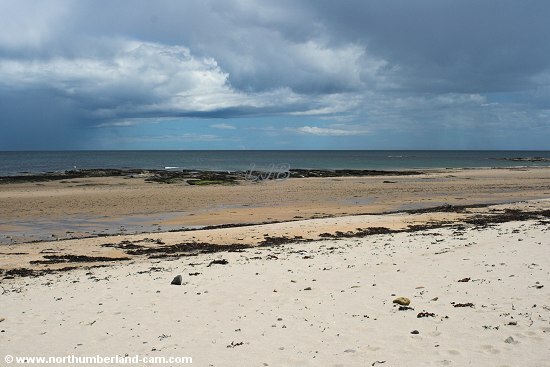 There are a few small car parks above the beach. 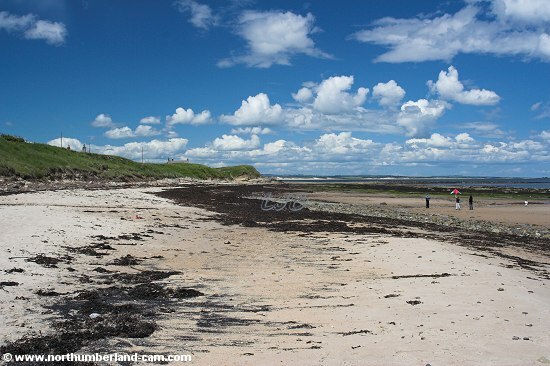 It is a pleasant little beach but can be a bit smelly at the north end. 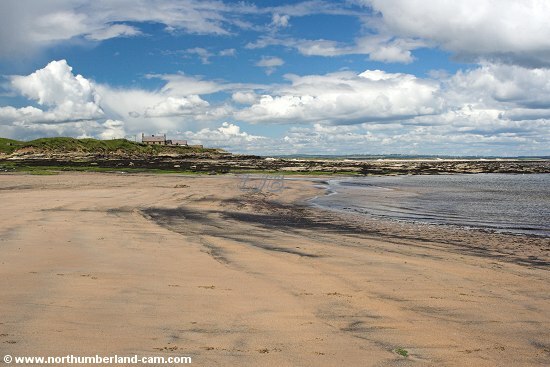 Cresswell Beach looking north on a spring afternoon. 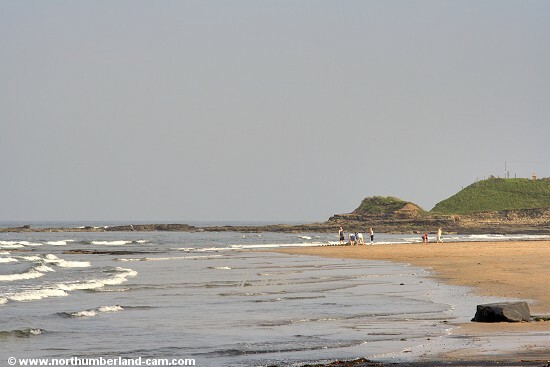 South end of Cresswell Beach on a warm hazy summer evening. 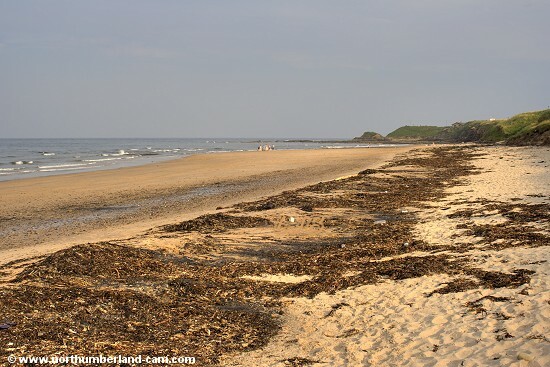 View from the north end of Cresswell Beach - a lot of seaweed after heavy seas. 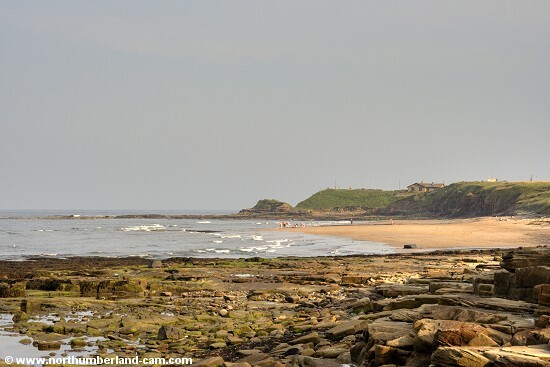 Views from the rocks at the north end of the beach.